About a few months ago we have informed you about the mission Parker Solar Probe, better to say a mission to touch the Sun. Early on August Parker Solar Probe near Cape Canaveral, Florida will launch. No earlier than Aug. 6, 2018, a United Launch Alliance Delta IV Heavy will thunder to space carrying the car-sized spacecraft, which will study the Sun closer than any human-made object ever has. 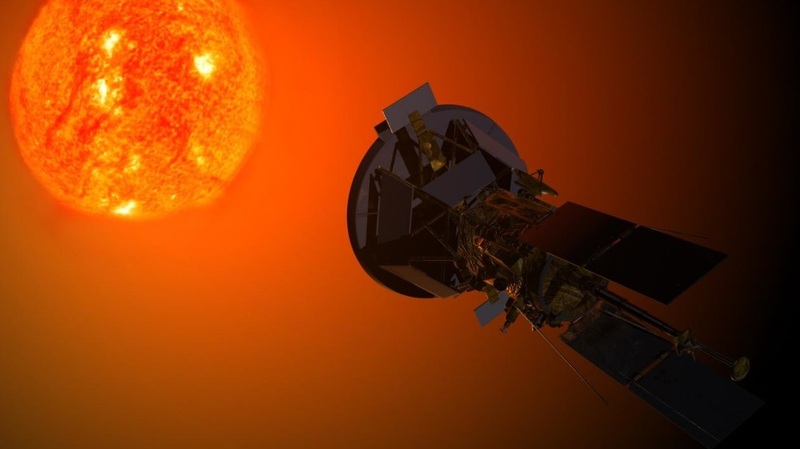 “We’ve been studying the Sun for decades, and now we’re finally going to go where the action is,” said Young (associate director for science in the Heliophysics Science Division at NASA’s Goddard Space Flight Center in Greenbelt). “The Sun’s energy is always flowing past our world,” said Fox. “And even though the solar wind is invisible, we can see it encircling the poles as the aurora, which are beautiful – but reveal the enormous amount of energy and particles that cascade into our atmosphere. We don’t have a strong understanding of the mechanisms that drive that wind toward us, and that’s what we’re heading out to discover.” Parker Solar Probe’s project scientist at the Johns Hopkins University Applied Physics Lab in Laurel. Parker Solar Probe is a mission some sixty years in the making. The mission is now named after physicist Eugene Parker, and it’s the first NASA mission to be named after a living person. The timing of Parker Solar Probe’s launch – between about 4 and 6 a.m. EDT, and within a period lasting about two weeks – was very exactly chosen to send Parker Solar Probe toward its first, vital target for achieving such an orbit: Venus. To Learn more detailed information about the mission, please visit our page “NASA Inviting You Journey to the Sun with Parker Solar Probe”. Next Next post: Where to Visit to Enjoy your Holidays?